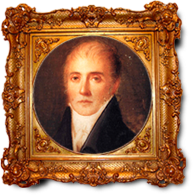 José Maria da Fonseca is born in Vilar Seco, municipality of Nelas, on May 31st, 1804.
is awarded Gold Medals at the Exhibition of Portuguese wines in Berlin and at the Universal Exhibition of Barcelona. King Pedro V bestows the Order of the Tower and Sword of Value, Loyalty and Merit on "the winery facilities of Mr. Fonseca in recognition of their modernity, cleanliness and efficiency". With the death of José Maria da Fonseca a priceless legacy is left for generations to come, which remains very much alive to the present day within his family. The Terras Altas brand is launched with wines from the Dão region. The brand reaches sales of 4 million bottles (85% for exports) and is sold in over 40 countries. Launch of the first harvest in 2008. The first flagship store of brand, in Chiado, Lisbon. Setúbal Moscatel Roxo Superior 1918 Auction. Innovation and tradition - a title that could immediately be applied to the work of José Maria da Fonseca. José Maria da Fonseca is born in Vilar Seco, municipality of Nelas, on May 31st, 1804. The period between the company’s foundation and the death of José Maria da Fonseca in 1884 is strongly influenced by this man’s character, whose intellectual training and entrepreneurial spirit led to the introduction into the wine industry of aspects as essential as the use of the plow or the sale of wine in bottles, or to the change in the production method of Setúbal Moscatel. After graduating in mathematics at the University of Coimbra, José Maria da Fonseca sets himself up at Vila Nogueira de Azeitão, where he founds the company with his name. Six years after its creation, the Moscatel de Setúbal brand wins the Gold Medal at the Universal Exhibition of Paris. The exceptional quality of this wine explains why it is still so important today, why it is recognized internationally and is one of the ambassadors par excellence of this region of Portugal. Portugal was already exporting large quantities of moscatel wine to England in 1381, but it was only in 1907/1908 that the Portuguese State began the process of official regulation of the denominations of Portuguese origin, granting them special status according to their quality. The Periquita harvest of 1885 is awarded Gold Medals at the Exhibition of Portuguese wines in Berlin and at the Universal Exhibition of Barcelona. ▪ Approval of the new Portuguese law on freedom of the press that became known as the "Stoppers Law"
King Pedro V awards the Order of the Tower and Sword of Value, Loyalty and Merit on "the winery facilities of Mr. Fonseca in recognition of their modernity, cleanliness and efficiency". It was already possible to foresee the quality and pioneering nature of this family business, which, always based on innovation and tradition, keeps its passion for the art of winemaking very much alive. José Maria da Fonseca leaves behind a priceless legacy for generations to come, which remains very much alive within his family to the present day. From early on Brazil was the key destination for José Maria da Fonseca wines, with an office of the company being established in Rio de Janeiro. The rise in demand led to a need for more vineyards, not only around Azeitão (Quinta de Camarate), but in other regions as well, such as Vinhas Viúva Gomes in Colares. However, as the 1920s drew to a close the Depression that decimated economies worldwide, compounded by political instability in Brazil, proved disastrous to José Maria da Fonseca. To keep the business afloat the family were forced to sell some of their assets, the vineyard in Colares being one such sacrifice. A new growth cycle begins, called the Rosé Cycle, marked by the genius of a great winemaker, António Porto Soares Franco, qualified in Montpellier and creator of the Faísca rosés, a brand which became a great success on the domestic market. ▪ Pablo Picasso paints "Guernica"
The creation of Lancers and sale in the U.S. was the result of the visit of an American, Henry Behar, to Azeitão, before the end of the war. He was looking for an easy-to-drink rosé wine which would attract the American consumer, still ignorant of wine, with easily identifiable packaging. 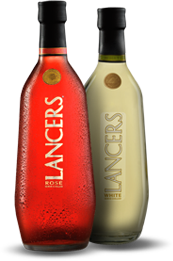 The period of growth and U.S. market consolidation resulting from the Lancers brand also provided financial support for the creation of new iconic brands and wines. This is when the first highly successful white wine appears on the domestic market, the Dry White Special (BSE). The Terras Altas brand from the Dão region was launched as well as the Pasmados wines from the Setúbal Peninsula, initially known as Old White and Old Red, acquire their own identity at this time. The successful acceptance in the USA of such an easy-to-drink wine was thanks to the product’s simplicity and the willingness to make Lancers a US market leader. The commercial strategy used at the time led to sales of one million boxes by the end of the 1970s. 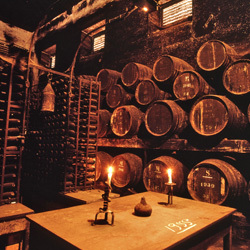 In this period, vineyards were acquired and the whole winemaking, resting and aging process was modernized. A crucial investment was the construction of one of the most modern winemaking centers in Europe which, with a capacity to vinify 6.5 million liters of wine, meets the growing demands of an increasingly competitive market. José Maria da Fonseca was the first Portuguese company in the table wine sector to be certified by ISO 9001 standard. Construction of one of the most modern winemaking centers in Europe, with a capacity to vinify 6.5 million liters of wine. Creation of the special Século de Moscatel packaging, including 4 bottles of Muscatel (10, 20, 30 and 40 year old). 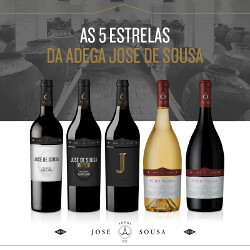 The introduction of this top brand onto the market is closely linked to certain special characteristics of the José Maria da Fonseca family, since it is a celebration of the family’s 6th generation, of which the enologist, Domingos Soares Franco, is a member. The latter was responsible for the wine’s creation from the 6 varieties Touriga Nacional, Syrah, Trincadeira, Tinto Cão, Touriga Francesa and Tannat. Introduction of the new Lancers bottle and national and international launch campaign. 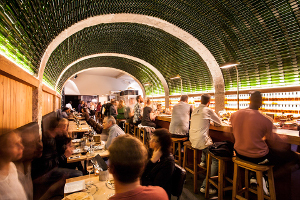 Twin Vines, the "vinho verde" brand celebrating the birth of twin girls in the family’s eighth generation, intended mainly for export markets. Not only does this year commemorate 175 years of the company’s existence, but José Maria da Fonseca also launches the first non-alcoholic wine in Portugal (Lancers Rosé Free).  Celebration of the 160th anniversary of Periquita. 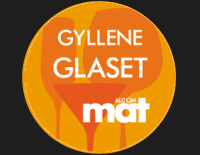 The brand reaches sales of 4 million bottles (85% for exports) and is sold in over 60 countries. The same year also sees the launch of J by José de Sousa. The first harvest of 2008 is launched. 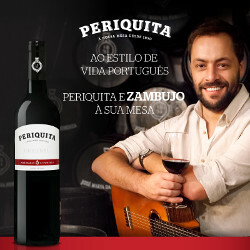 Periquita is rebranded and José Maria da Fonseca’s new Corporate Image is presented. José Maria da Fonseca receives BRC Certification, issue 6, currently the most advanced international standard in the area of food safety. José Maria da Fonseca wins award for Best Wine Tourism of the Year (without accommodation) at wine critic Aníbal Coutinho’s W awards.